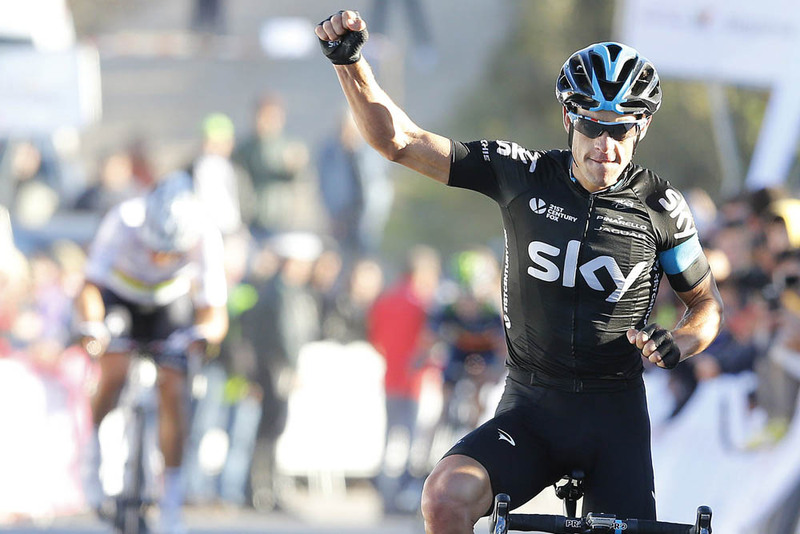 Team Sky had a great day at the Volta ao Algarve in Portugal on Saturday, with Richie Porte winning the tough, hilly stage four and Geraint Thomas maintaining his overall race lead. Porte hit the finish line on the Alto do Malhão to take a solo win three seconds ahead of last year’s overall winner and current world champion Michal Kwiatkowski (Etixx-QuickStep), with Ion Izagirre (Movistar) six seconds back. It’s Porte’s third win of the season so far, after the Australian time trial title and the queen stage of the Tour Down Under in January. Crucially, Thomas managed to limit his losses against key rival Kwiatkowski, coming in fourth and just nine seconds behind Porte. Thomas has a comfortable buffer of 27 seconds in the general classification over second-placed Kwiatkowski going into Sunday’s relatively flat final stage, which is predicted to end in a bunch sprint. Home favourite Tiago Machado (Katusha) lies in third place overall at one minute and 11 seconds. Porte’s stage win moves him up to fourth overall. With Chris Froome taking the stage win and overall lead in the concurrently running Ruta de Sol in Spain, it sets up the distinct possibility on Sunday of two British Sky riders winning key early-season races.